I would say the purple drink is the best part of this. Chris sure can! Can you? Chris saw her IQ posted someplace and took it the wrong way, evidently. 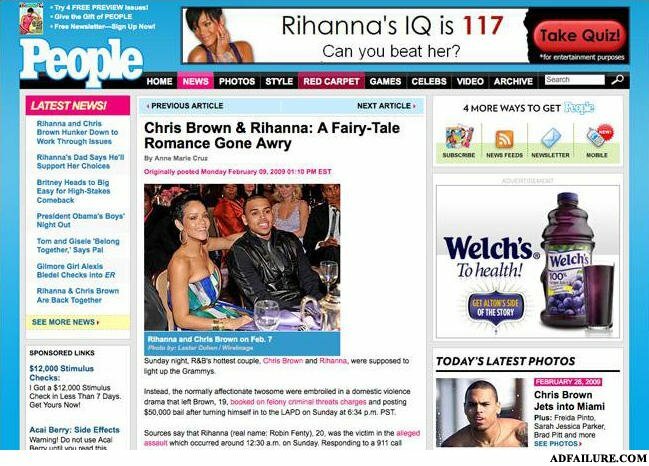 If you look closely, Chris brown and Rihanna say "lemme see that purple drink"
'Can you beat her?' Chris can! The biggest fail is Rihanna`s fake IQ. A black man confronts a small white man on the sidewalk and asks for money. The white man responded "no". Bats: WATCH OUT FOR THAT GAY-RAY!